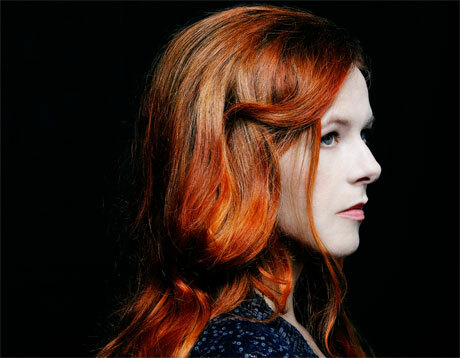 Neko Case loves animals, and we mean REALLY loves animals. Don't believe us? Well, then get a load of this new charity initiative she's launched alongside her new Middle Cyclone single, "People Got a Lotta Nerve." Until February 3, Case and her label ANTI- will donate $5 to the animal rescue organization Best Friends Animal Society for every blogger who posts the song online (like we did below!). Also, $1 will be donated for every iLike user who adds the song to his or her profile. See, told you she likes animals. As previously reported, Case's upcoming album, Middle Cyclone, is due out March 3 on ANTI-. And, hey, check it out, she covered a Sparks track on this one. To download "People Got a Lotta Nerve" and get more posting details, you can click here. Also, the label will be tracking all the blog posts, but you can email [email protected] just to be sure yours goes towards helping a furry one.